We at JF Engineering Products LLP believes that quality is the primary key to success, and till now we have been successful with our high quality exported goods. 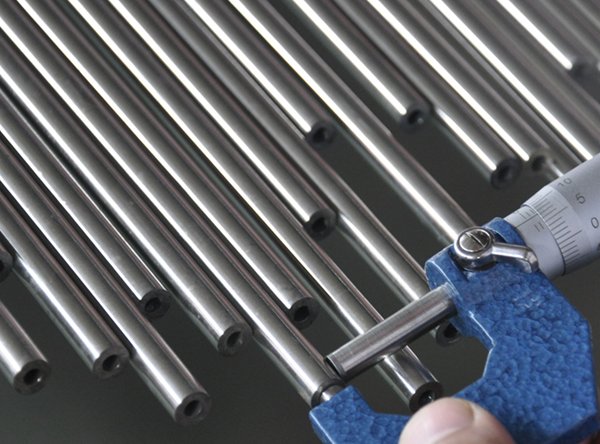 We offer Stainless Steel Capillary Tube of all grades meeting the international quality standards. Any kind of tubes will be provided as per the need of customers with no lack in quality.With our well tested exported Stainless Steel Capillary Tube of good quality, our customers never think of another brand when they came up with a Stainless Steel Capillary Tube requirement. JF Engineering Products LLP identified for india’s most trusted brand for exporting in Stainless Steel Capillary Tube. With a flooded positive feedbacks from our customers and wide international connections, We JF Engineering Products LLP have grown as the leader in Stainless Steel Capillary Tube market in the country. The availability of Stainless Steel Capillary Tube of different variants with the best quality is the success behind our growth in the industry. Capillary Tube is a long, narrow tube of constant diameter. The word “capillary” is a misnomer since surface tension is not important in refrigeration application of capillary tubes. Typical tube diameters of refrigerant capillary tubes range from 0.30 mm to 31.75 mm O.D. And 0.06 mm to 1.65 mm thickness and the length ranges from 1.0 mm to 6.0 mm. It & is widely used in instrumentation Industries. We JF Engineering Products LLP have been the most trusted name in Stainless Steel Capillary Tube industry for quite a long time. With our exported product from the international market, every sing being of the high quality have never put our customers hopes down. With the stocks of tubes on all grades we have been sincere enough in meeting all customer needs.